Could Your Kid End Up Wealthier by NOT Going To College? There are a massive number of students in this country who should not be attending four-year colleges and universities. Because these students are desperately needed in well-paying jobs that require more specialized kinds of training than four-year colleges can provide. Read on, and I’ll help you to determine whether your son or daughter might be a good fit for one of these excellent careers. This is a short list; there are hundreds of additional well-paying careers that require only 2-year technical college training and not four-year degrees. Google the words “technical college” along with your zip code. Look for a google result that has “technical college” or “community and technical college” in its name. Call the one nearest you and ask the receptionist to point you to a list of careers that students can prepare for at that school. Not sure what one of the careers is, or how much it pays? Google the name of the career along with “BLS.” You’ll get to a beautifully laid out Bureau of Labor Statistics page that provides detailed information about that career. Warning: Avoid “for-profit” colleges while you’re doing this research. To see whether a technical college you’re exploring is a “for-profit” college, search its name on this website: CollegeData.com. Look to the right at the column that says “Type.” If the word “profit” is listed there under type, don’t consider that college. Run away and don’t look back. “For profit” colleges are trouble. You can learn more about why that is, here. What if your child attends technical college, and then later on decides on a career that requires a four-year college degree? That’s OK! The four-year colleges will always be there waiting. If one of these great two-year technical college careers might be a good fit for your son or daughter, don’t let the short education time scare you off. Just imagine your daughter at age 22, with zero debt, looking back at two years of work experience where she earned over $100,000 in total and made zero payments to creditors. This could be your child, if one of these great careers is a fit for her. To learn why “follow your passion” is terrible career advice, take a look at the inspiring Mike Rowe video I included in the post I wrote here. 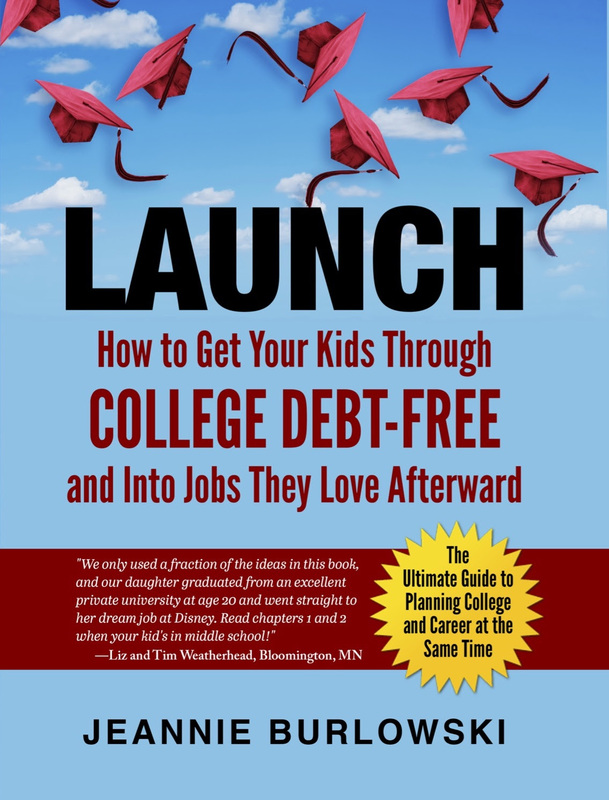 Some #kids will make more #money by NOT going to a 4 yr #college. Surprising, helpful info here. How do you feel about this subject? Do you know anyone who ended up happy in life after attending technical school and getting specialized training? Comment below, or LIKE Jeannie Burlowski Author on Facebook and let’s talk about it there.